Dunlop Touch Technology is behind the exceptional performance of the SP SportMaxx. Pressure is spread evenly across the tyre, putting more rubber in contact with the driving surface. The transition from straight to curve is smooth, giving you more time to feel the road and react when needed. Proven on the race track, the rubber compound delivers extra grip on both dry and wet roads. Acceleration becomes more responsive and braking times shorter. The durable compound is long wearing for increased mileage. 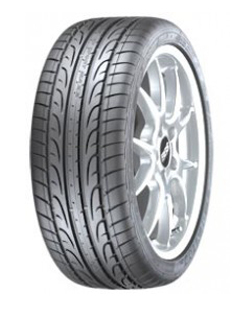 The SP SportMaxx performs in wet weather conditions. Special tread regions eject water rapidly from under the tire footprint, reducing the risk of aquaplaning on rain soaked roads. Enjoy smooth and precise driving at speed, thanks to a stable center rib design. The tread pattern minimizes noise for a quieter and more comfortable ride.